Apple is set to launch the first 64-bit mobile processor when the iPhone 5S hits the market September 20. While the immediate performance gains this will bring are debatable -- despite Cupertino’s marketing hyperbole -- Samsung doesn’t intend to stand idle as its arch rival gets the upper hand on the spec sheets. Speaking to the Korea Times, the company’s mobile business chief JK Shin confirmed that their next generation smartphones will have 64-bit chips too. 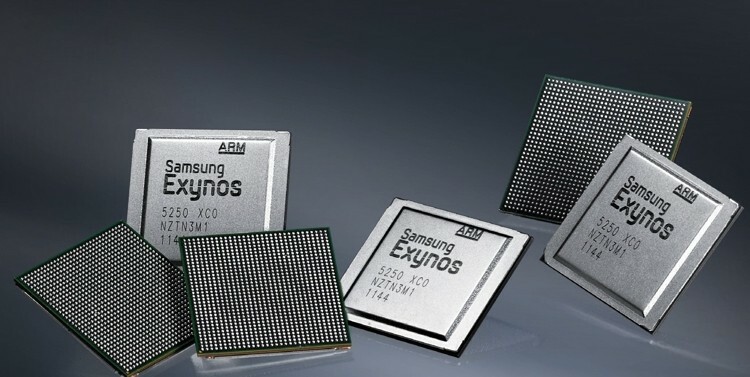 There was no specific time frame for the move except for noting that such devices would arrive "not in the shortest time.” Not that Samsung lacks the expertise for the task; after all, their semiconductor business is going strong and they’ve touted some advances of their own such as Heterogeneous Multi-Processing, which allows all eight cores in the Exynos 5 SoC to operate simultaneously. Samsung could use the ARMv8 64-bit architecture that ARM has been promoting for a while -- the same Apple based its design off. But as things stand right now a 64 bit processor would be worthless to them without proper support on the operating system level. No current version of Android is 64 bit, and while it's assumed that Google will eventually make this happen, it likely won’t be available until some time next year. Apple on the other hand has already reworked iOS 7 and all its native applications to run on the 64-bit A7 chip. During Tuesday’s event, the company promised the benefits would be “huge” as it explained the A7 is up to twice as fast as its predecessor in both CPU and GPU tasks, but in reality the two aren’t necessarily linked to each other -- at least not as Apple would have you believe. Looking at the move to 64-bit computing on the desktop, 64-bit designs don't automatically improve performance for most tasks, and can even have drawbacks. The biggest benefit comes from the capability to accommodate more than 4GB of RAM, and currently no ARM-based smartphone comes close to that. The move is more about Apple laying the groundwork for the future, but it'll be a while before we enjoy all the benefits. I guess you could say the same thing about quad- and octa-core processors in mobile devices. That said, in the realm of smartphone marketing bigger numbers are always better, so it wouldn’t be surprising to see everyone racing to get 64-bit chips on their phones too.